The Listing Agent – Marketing Your Home | Your local real estate experts. When you bought your home, hopefully you used the services of a real estate agent. Maybe, you found that agent through a referral from a friend or family member, or through some sort of advertising or marketing. The agent helped you in many ways and eventually you found the house of your dreams, made an offer, closed the deal, and moved in. As a result, many homeowners expect their listing agent to do the same things that a selling agent does – find someone to buy their home. After all, they do the things you would expect if they were searching for buyers. A sign goes up in the front yard. Ads are placed on various social media accounts. Your agent may hold an open house on the weekend. Your house is proudly displayed on a variety of venues. But this is only “surface” marketing. More important activity occurs behind the scenes. After the “for sale” sign goes up and flyers are designed, your agent’s main job is to market your home to other agents, as well as homebuyers. Signs are great at generating phone calls, even if very few actually purchase the home they call about. However, you might be one of the lucky ones. For that reason, you should determine what happens when someone calls the number on the sign. Does a live person answer the phone or does the call go to a voicemail or recorder? Does the call go to a duty agent? Are there multiple ways for the buyer to get info on your property? You want someone to answer the phone while the caller is “hot.” When buyers call the number on the sign, they should get their questions answered immediately. A potential buyer may be on the street outside your home, placing the call using a cell phone. 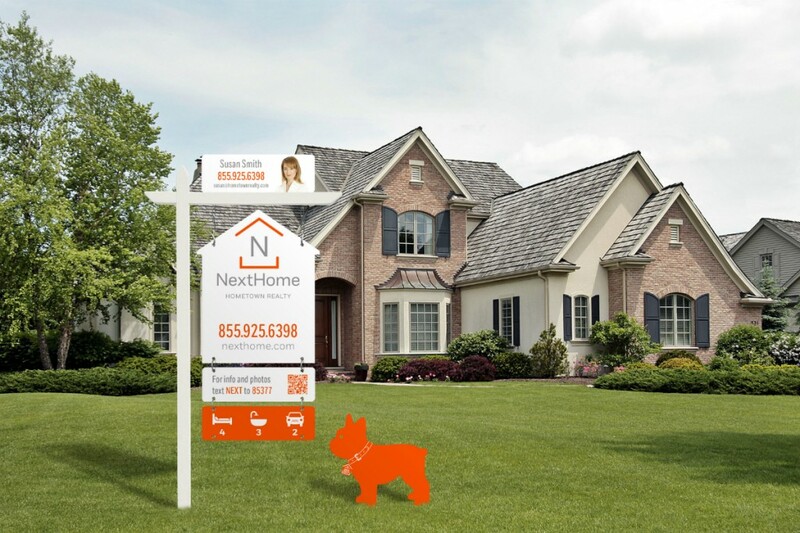 *NextHome signs generate calls in ways you never thought of! Let me walk you through the scenarios of how we reach buyers and get them details about your property. Even before the sign is up and the brochures are ready, your agent should list your property with the local MLS (Multiple Listing Service). The MLS is a database of all the homes listed by local real estate agents who are members of the service, which is practically all of the agents. Agents search the database for homes that fit the price range and needs of their clients. They pay special attention to homes that have been recently placed on the market, which is one reason you may get a lot of attention when your house is first listed. Many agents will want to preview the home before they show it to their clients. An important job of the listing agent’s is to make sure that the other MLS members know about your house. This is accomplished through listing your house in the Multiple Listing Service, broker previews and advertising targeted toward other agents, not homebuyers. If your listing agent belongs to a fairly sizable office, an “office preview” will introduce your house to other agents working in the same office. In effect, they get a “head start” on selling your property. Once a week, the office’s agents will get together, share vehicles, and “caravan” to all of the new listings. They generally pull up in front of your house at about the same time then file quickly through your home like some bizarre “follow the leader” game. Realtor open house is very similar to an office preview, except it is open to all the members of the local multiple listing service. It usually occurs after the office preview. However, there are lots of new listings to choose from, and not all the agents preview all the new listings each week. You may not get as many agents visiting your home as there were on the office preview. For this reason, Realtor Open Houses are not always held. Though it may seem funny, nothing seems to attract people like the offer of free food. So if you and your agent offers “free eats” at a broker preview, you are likely to get more visitors than if nothing is offered. Realize that many agents have been on this weekly circuit for years, so “boring” food does not really accomplish much. In other words, sandwiches supplied from the local grocery chain are not very enticing. Your agent will undoubtedly prepare flyers about your property so that prospective homebuyers can be informed about the attractive features of your house. These flyers (or similar ones) should also be emailed to all the local Realtors, too. Some areas even have a weekly flyer service that delivers advertisements to all of the local office inboxes. Since agents get these flyers every week, they do not always look at them. However, a large percentage of them do. Some agents will keep the flyer and bring buyers to your house. Ask your agent to show you copies of office flyers they have done in the past. At the office sales meetings agents stand up and tell about their listings and other agents stand up and tell about their buyers. 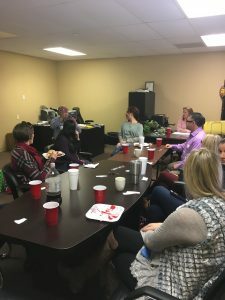 Your listing agent has an opportunity to “pitch” your house at these marketing sessions and many times other agents who are working with buyers will take the information in hopes of finding something for their buyer. Every home seller likes to be assured that their listing agent or the real estate company will run ads featuring their home. Social media ads could be large display ads with lots of listings or smaller ads linking just to your property. 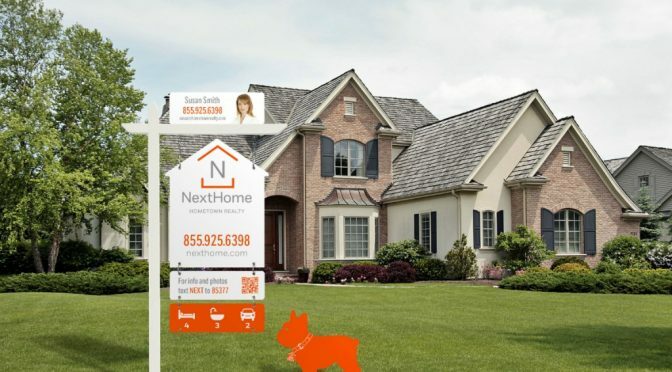 These ads are designed to ensure that your property will show up on the Internet. The main job of advertising is not only to sell your house directly. Advertising creates phone calls and some of those callers become clients of the agents answering the calls. This builds up a pool of homebuyers looking for property in general, all represented by selling agents. Multiply this by all the agents and companies who also advertise homes, and you can see how there is a large pool of homebuyers in the market at any given time – all of whom are represented by selling agents. The agents representing those homebuyers know about your home because it is listed in the Multiple Listing Service, has been on office preview or realtor open house, and because your agent may have also sent email blasts to all the local real estate offices. The agents match up their clients with available homes, one of which may be yours. Then they show the homes to their clients, who eventually make an offer on one. That is how your house gets sold. Ads create a pool of clients, one of which buys your home. Often times ads do not usually sell your house directly. . . .
As mentioned previously, advertising your home doesn’t necessarily sell your home directly. More likely than not, the buyer who eventually purchases your home will have called on a totally different house. The same thing happens with buyers who call on your house. They will sometimes buy something else. You still want to be certain the real estate company selling your house is advertising online, whether they feature your house or not. The ads generate phone calls to the Realtor, and if the Realtor knows their local market, they will already be familiar with it. This is how your property is sold. It is a mistake to measure your agent’s effectiveness solely by counting the number of ads featuring your property or open houses hosted. When you first list your home many agents send “announcements” to all of the other houses in your neighborhood. This can be done in the form of postcards, a letter, or flyers left hanging on the front door or targeted social media ads. These are important because your neighbors might have friends who are looking to buy a house. The announcements create “word of mouth” advertising, which is one of the best kind. An open house when your property is placed on the market may or may not be that important. Just like with advertising, most visitors to open houses rarely buy the house they come to look at. They may not even know the price of your home when they stop by to visit – they probably just followed an “Open House” sign to your door. 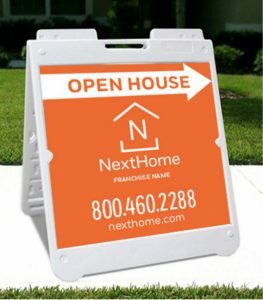 An open house performs a similar function to the neighborhood announcements – it lets all of your neighbors know that your house is for sale, and it practically invites them to come “take a look.” Being generally curious, a lot of your neighbors will take advantage of the invitation. 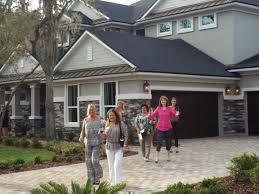 For this reason an open house may not be as effective now that online marketing is much more predominate. However, if you really want an open house, your listing agent may hold it open or allow other agents in the office to hold it open. Open houses can attract prospective homebuyers and agents hope to convince some of those homebuyers to become their clients.